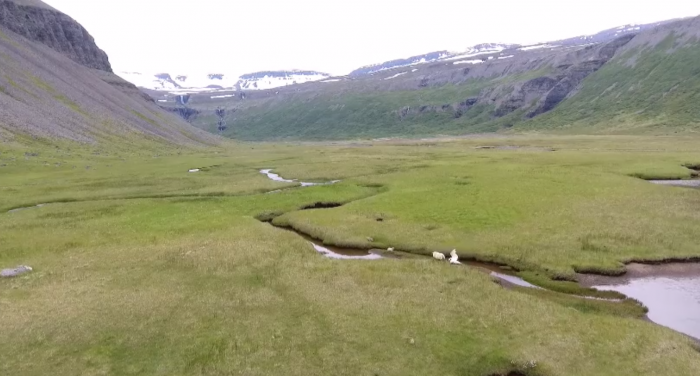 Captured on drone footage near Bolungarvík in the Westfjords, Iceland, a swan protecting its territory attacks a sheep and its lamb. The video was taken by Sigríður Línberg Runólfsdóttir’s husband and posted on her Facebook page. Sigríður makes a remark in a comment and says the swan had already chased the sheep for a while before he took the video. Swans can be aggressive when they feel threatened, but the ewe and her lamb got away, seemingly unharmed.